Shedding is a standard issue in the world of hair. 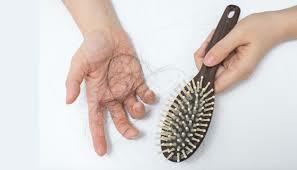 On average, natural hair sheds 100-150 strands a day, in this case, weave extension as well as sheds, it is normal. Tough all hair sheds, kinkier texture like deep wave, natural wave, curly shed more often than straight and body wave hair, they also need more maintenance. But hair shedding is really a annoying thing, it is even worse when we spent much money to buy virgin hair and paid for stylist to sew it. 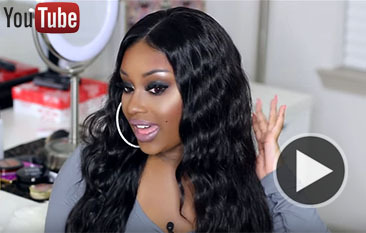 How can we keep our weave extension from shedding? Here are some tips. Shedding weave are a result of poor quality, good quality hair would have minimum shedding, but not too much, and less manage. Firstly, find a reliable hair vendor, look their reviews to see how people said in their hair. Secondly, choose double weft hair, double weft hair means that tow tracks of hair sewn together. 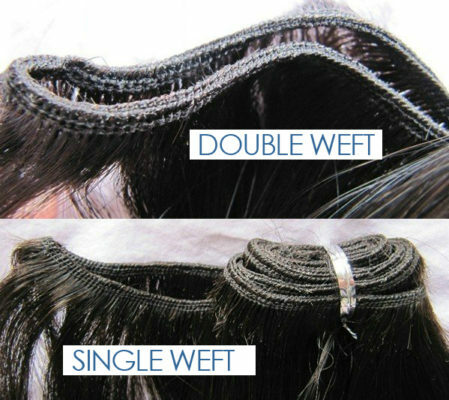 The double-wefting process reduces shedding because it is thicker and sewn more securely, and also can create a fuller looking install. If it is the first time buy hair, we can ask them for a sample to test. For example, we can try NanaHair, they offer one donor double weft hair. Co-wash weave extension is to wash and rinse our hair with a high quality conditioner only, to keep hair soft, clean and moisturized. After Co-washing and drying hair, it is time to seal the wefts. “Sealing” means reinforcing the hair extension wefts with glue to reduce or attempt to eliminate shedding. Sealing wefts enable hair to last longer and provide the wearer with a more satisfactory install requiring less maintenance. When we getting a sew-in, ask our stylist to fold over the track to get to the next braid or row. When we cut the weft it’s like having a bunch of loose seams on our favorite shirt. The hair can unravel from the loose seams. If we do cut the hair only cut it around the hairline and on the final 2-3 tracks. If we don’t want to fold it over, use a little bit of nail glue at each area where we cut it. Don’t use a lot of product on our hair extensions. Use sulfate free conditioners and shampoos. Do not put extra sprays or oils on your extensions. Product build up leads to tangling because a lot of the waxes and petroleum on the hair attracts dust, pollen, and dirt in the air and subsequently tangles forcing you to put more tension and stress on the wefts on hair extensions. If do have product buildup, use a clarifying or deep cleaning shampoo or if you are an earthy girl, use an apple cider vinegar rinse. This entry was posted in Hair Care and tagged sheddingfree, weaveextension.